Hello, my name is Suny. 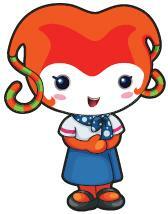 The theme for Expo 2012 in Yeosu is ‘The Living Ocean and Coast’. I have recently become more interested in the environment because this Expo gives us the opportunity to think about the ocean and its direct connection to the human survival. 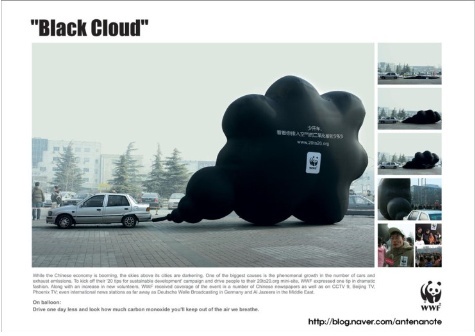 Here are some environmental campaigns which won awards at the Cannes Lions International Advertising Festival, one of the top three advertising festivals around the world. This work is called ‘Trees’ and won silver press prize in 2007. 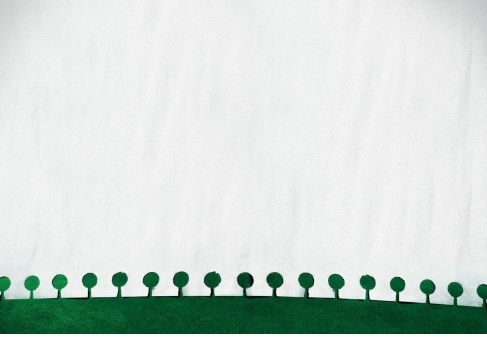 It offers a message about saving trees by recycling paper. Although simple, the idea itself is praiseworthy. This work is called ‘Black Cloud,’ and won the bronze outdoor prize in 2007. I think its appeal comes from its delivery of multiple significant meanings in one image. This work is called ‘Bottle Top,’ and won the silver poster prize in 2010. The image is quite frightening. 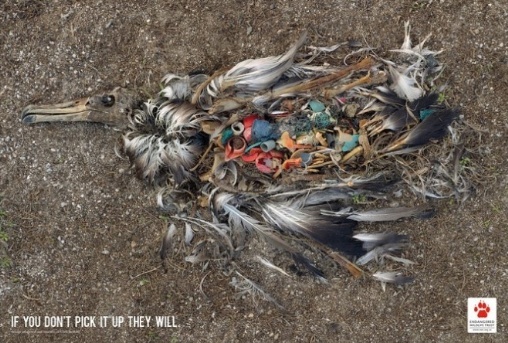 One can get a sense of how much garbage is floating in the oceans by peering into the garbage filled stomach of the dead bird. This advertisement is frightening but at the same time, makes us think. This work is called ‘Please, save the dying polar animals,’ and won the gold outdoor prize in 2011. 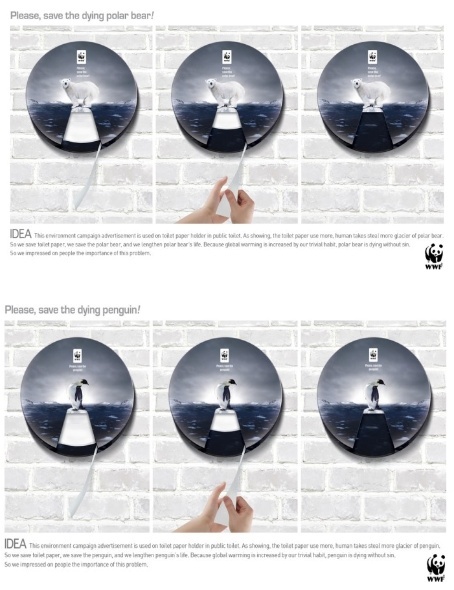 As can be seen, the ad asks for help in the prevention of polar animal extinction. A polar bear and a penguin hang on tenaciously to a glacier. It shows that as we increase our production of waste paper, the glacier decreases in size, making polar bear and penguin survival more difficult. This advertisement is truly based on a brilliant idea. This work is called ‘Trash discarded in the oceans,’ and won a bronze printing prize in 2010. The meaning conveyed by this work is that although we can see only a portion of the garbage dumped into the oceans, it has a huge impact. What are your thoughts on viewing the posters? Although simple single photos, the posters are sharp commentaries, pricking at our conscience. I hope that you all felt something in viewing these ads, just as I did. Even the smallest effort is significant, so I also hope that you all make an effort towards helping the environment today.